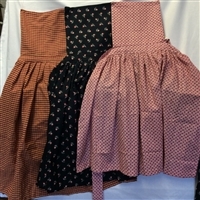 Cotton Pinner Aprons with pocket. Available in an assortment of colors and designs. Call for availablity.